Contents - West Point Learning Ctr. Mrs. Wynesther Cousins has been an educator since 2002. She received a B.S. in Public Relations and a B.S. in Elementary Education from Mississippi State University. She also received a M.Ed. in Curriculum and Instruction and an Ed.S. in Educational Leadership from the University of Mississippi. Currently, she is pursuing her Doctorate in Educational Leadership at Mississippi State University, and Mrs. Cousins is a 2017 graduate of the Millsaps Principles Institute. Mrs. Cousins is currently endorsed in the following areas. Mrs. Cousins has been with West Point Consolidated School District for seven years. She believes all students are capable of succeeding with the assistance of educators who care about their educational success. Mrs. Cousins excels as an instructional leader who makes decisions in the best interest of students. She is a data-driven decision maker who believes strongly in implementation of research based strategies. Also, Mrs. Cousins is an effective communicator who builds motivational relationships with students, faculty, staff, parents, and community members. 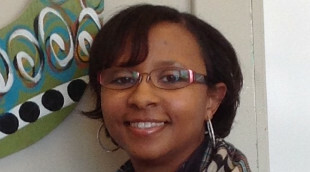 Shameeka Deanes has been an educator for 10 years. She recieved her B.S. 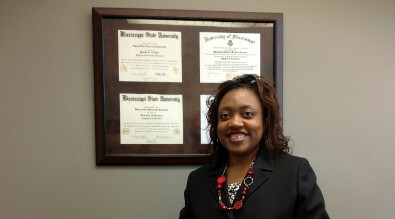 degree from the Mississippi University for Women and began her teaching career at Central School. During this time, she has earned her Masters degree in Educational Leadership from Mississippi State University and will soon be completing her Doctoral degree in the same discipline. Mrs. Deanes did not start her college career wanting to be a teacher, but it was not long before she realized that it was the career path she was destined to be on. Throughout her years of teaching, she has learned that educating students is a calling that she was glad to answer. Every day spent with them is an opportunity to mold them into productive citizens who make a difference in our world. It is an opportunity that I welcome each and every day.